The bristles are knotted under the handle and hence won't leave the brush end up on your face. This brush is so smooth you would use it on your face even when you are not shaving. 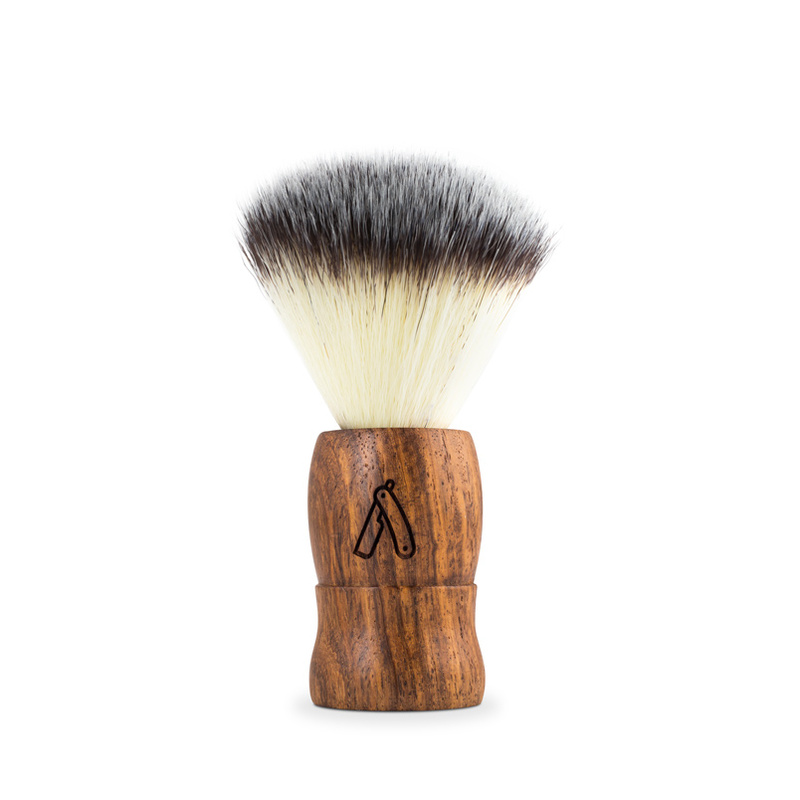 The handle is made out of genuine wood and although the bristles are synthetic, they feel exactly like how a natural shaving brush does. Even if it doesn't, we don't think it's worth killing a Badger for!